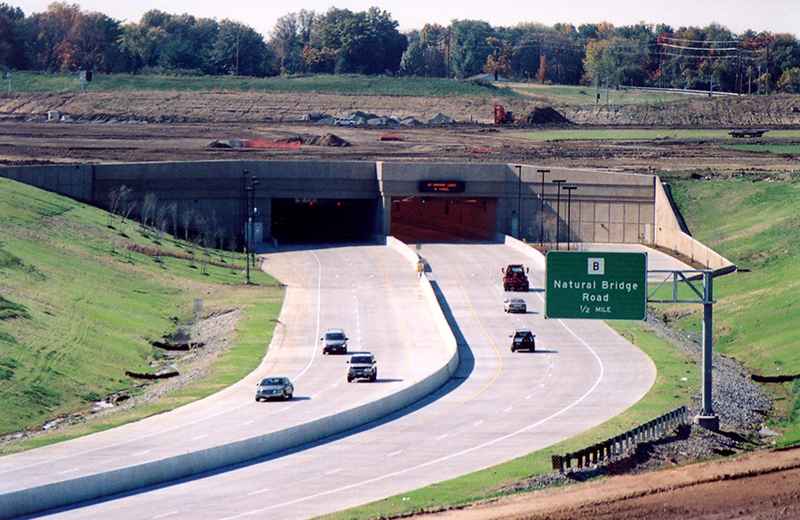 This new state-of-the-art Lindbergh Boulevard Tunnel, built to carry traffic beneath the new runway at Lambert-St. Louis International Airport, was the first traffic tunnel to be built in the State of Missouri. Lindbergh Boulevard was relocated west of its original location as part of the Lambert-St. Louis International Airport Expansion, which included construction of a third runway. 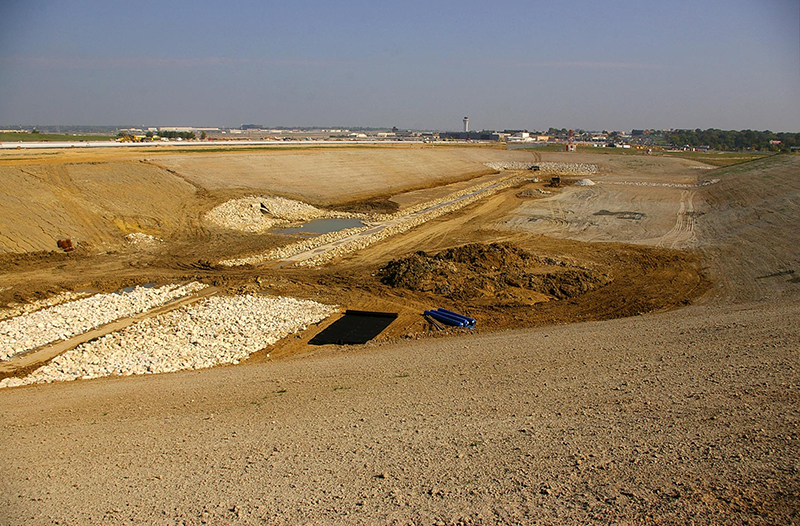 To ensure unimpeded traffic flow, several traffic lights were removed and the tunnel was constructed beneath the new third runway. 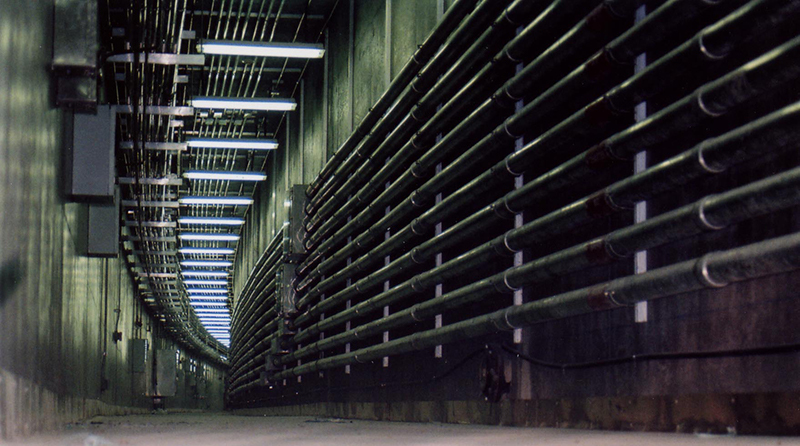 The 1,400-foot tunnel consists of two 46-foot-wide cells striped to handle two lanes of traffic. Features include sensors to measure heat, carbon monoxide concentrations, lighting levels and pavement conditions. 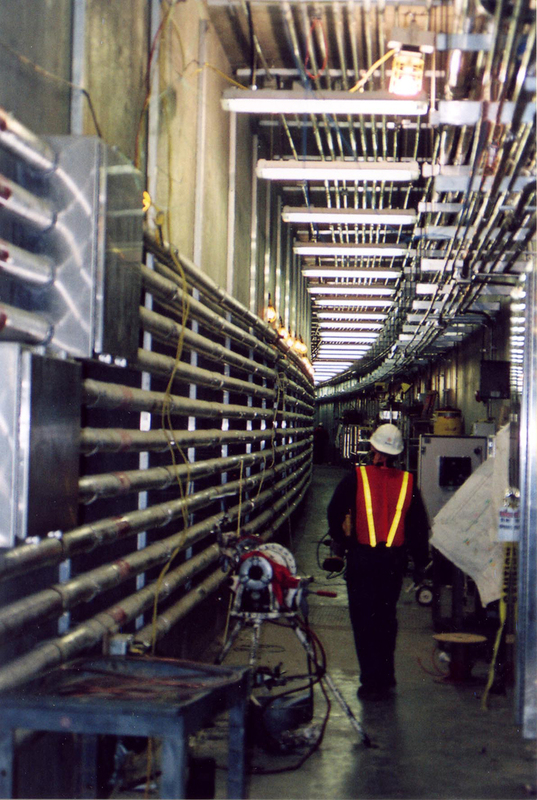 Twenty closed-circuit video cameras connected to the Missouri Department of Transportation’s (MoDOT) Traffic Information Center provide continuous monitoring inside the tunnel. 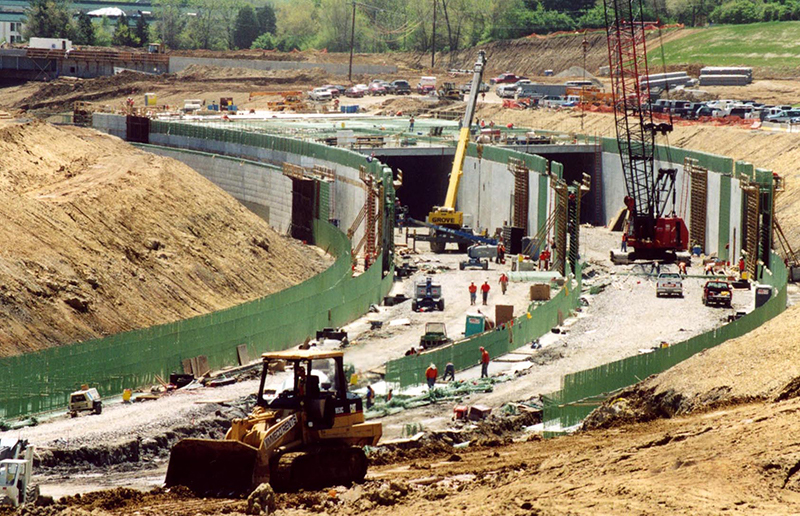 The tunnel’s design and construction was coordinated with federal and state highway officials, as well as the local fire district.